A fantastically fun choice for the kids. Create a cool bedroom hideaway. and allow your child's imagination to take flight! 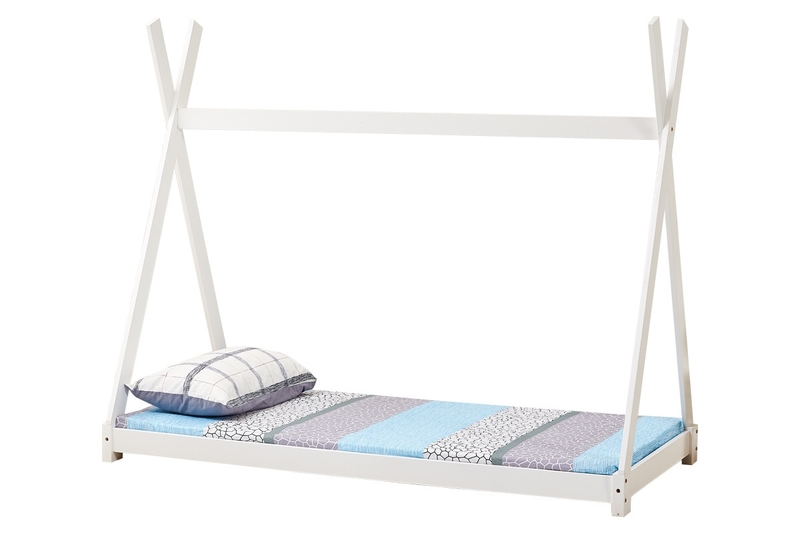 The single bed frame features novelty crossover framework inspired by the cool Tipi style tents. 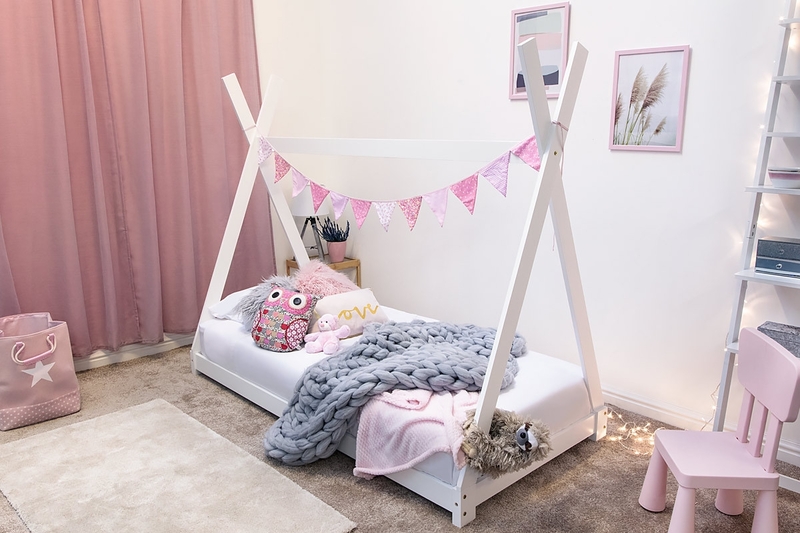 Our Tent Tipi Bed can be used as a sleeping area, reading nook, or play house area. 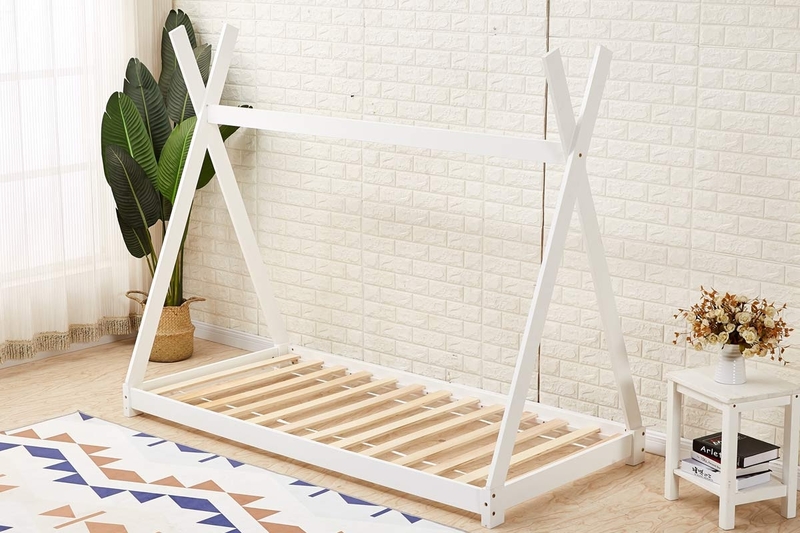 Made from solid pine wood, and features solid slats provide a sturdy base for the mattress. 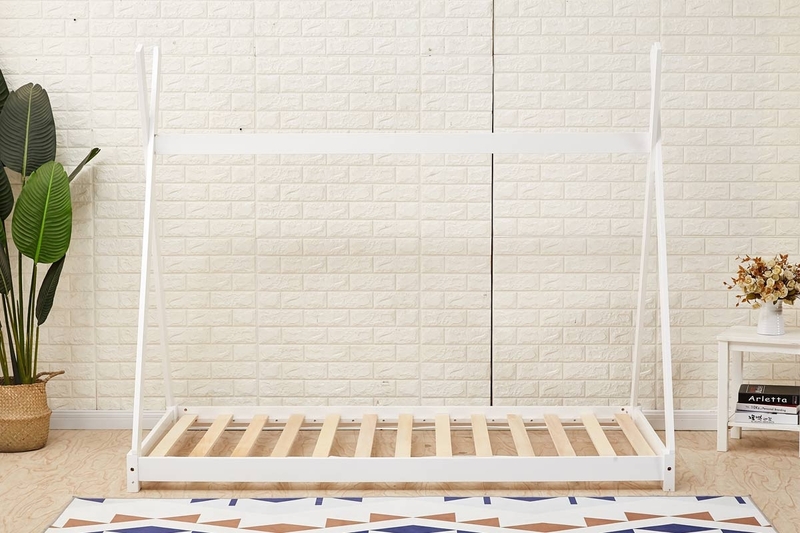 The Bed frame takes a standard UK single size mattress.